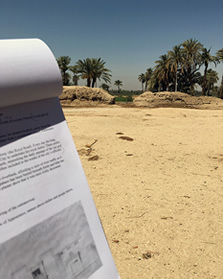 Launched in late 2017, Community and Archaeology at Amarna is a site management initiative undertaken in partnership with the Egyptian Ministry of Antiquities and funded by the Newton-Mosharafa Institutional Links Fund (British Council) and a University of Cambridge Arts and Humanities Impact Award. 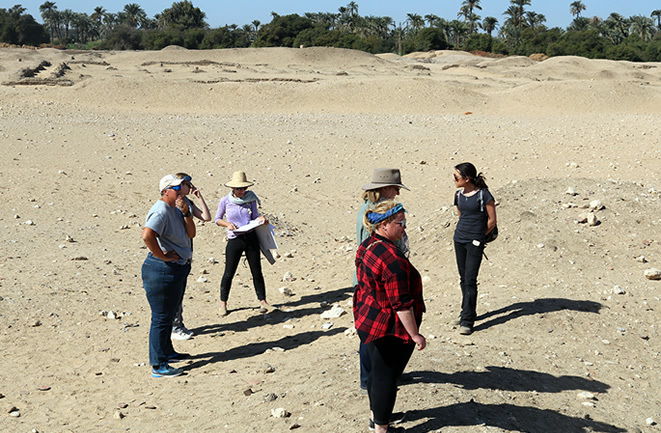 It seeks to address the increasing loss of antiquities land at Amarna and develop the potential of the Amarna Visitor Centre to play a greater role in engaging local audiences and raising awareness of the site. 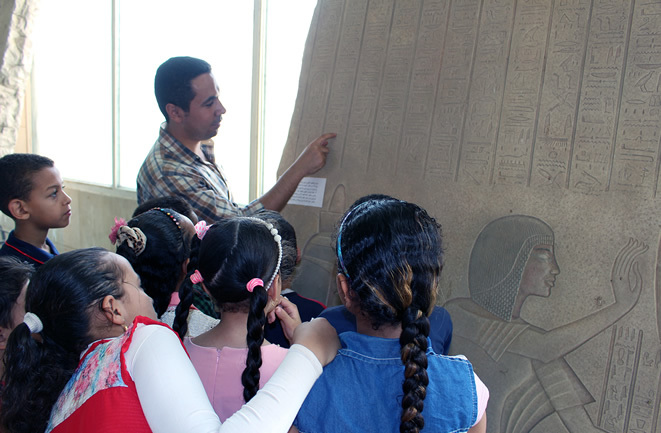 In the UK, the project seeks to improve understanding of ancient Egyptian history among primary-school aged audiences. 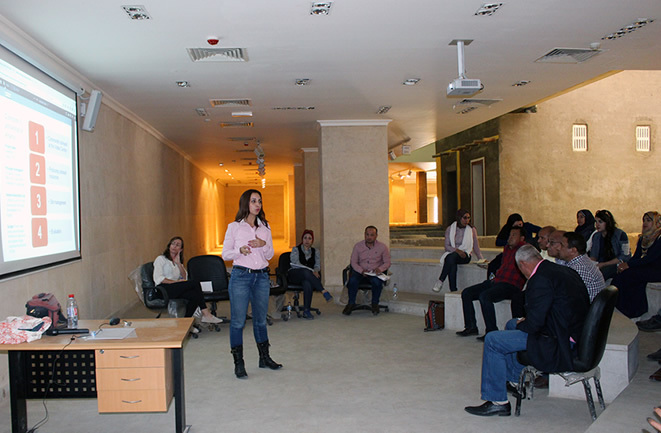 In April 2018, the project was launched at Amarna at a workshop at the Visitor Centre, where local and regional MoA staff contributed ideas on training needs and the development of events and resources. A follow up meeting was held with Visitor Centre staff to further discuss potential audiences and gather ideas for educational outputs. Planning is now underway for a training programme for Visitor Centre staff in visitor engagement and site management. In addition, site inspections allowed for an initial assessment of visitor pressures, local infrastructure, conditions, threats and opportunities for the site. This will provide the basis of a comprehensive site management plan, updating a previous conservation and development plan produced in the mid-1990s (David Phillips Associates 1995, Tell al Amarna: a strategy for conservation and development. Shropshire). November/December 2018 saw a further period of work at Amarna. 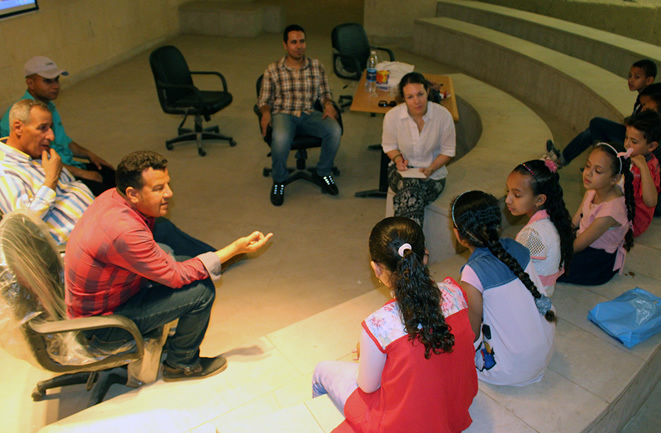 We focussed on developing the outreach resources, particularly the Site Signage, Guidebook and Children's Book texts. These outputs will now be edited and put into production. Site inspections and consultations with local stakeholders allowed for the further development of the Site Management Plan. A set of teaching resources were also delivered to the Visitor Centre to assist with future training & outreach development, including a children’s sandpit for learning about archaeological excavation. G. Tully and A. Stevens, forthcoming. 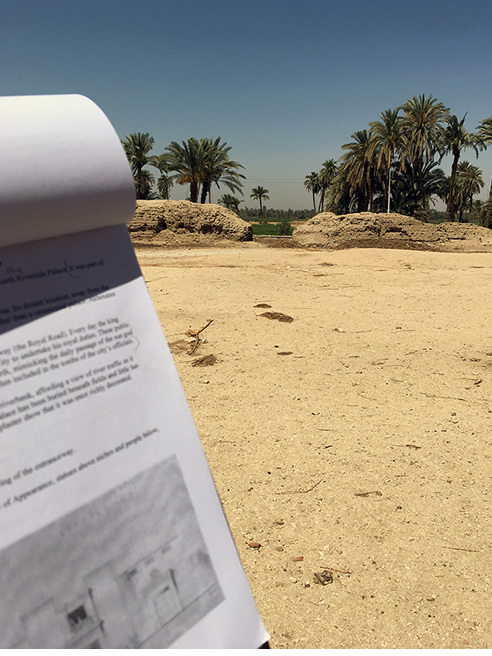 ‘Site management’ in B. Kemp ‘Tell el-Amarna, autumn 2017 and spring 2018’, Journal of Egyptian Archaeology.